Our most popular gifts go to guys that deserve it. Guys that work hard, every day, building and making and underlying the foundation that keeps our communities together. And when he’s out there, he needs his gear to work just as hard as he does. 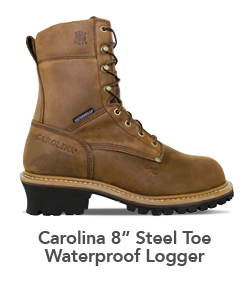 Carolina loggers are the hardest-working boots in the industry; tackling the toughest jobs on planet earth. He’s probably got 2 older pair in the house already. Find them in the garage or mud room and remember the size you need to buy. 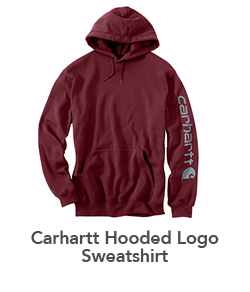 Carhartt sweatshirts fly off the racks at this time of year as proud wives, mothers, and children race to find the perfect outerwear for the men in their lives. He will love it – and he has earned it. 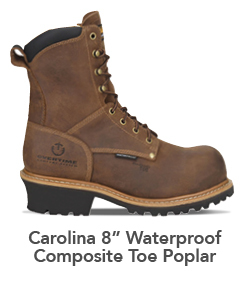 This time of year, there is nothing like footwear that is soft and cozy. When she’s outside, she wants boots that look good AND keep her warm. The same goes for inside – with the cutest and softest slippers you can find. Nobody does cozy better than Bearpaw. 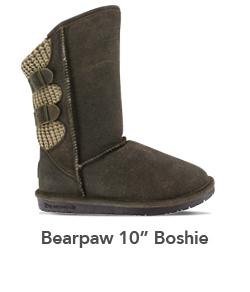 Fur-linings and supple uppers give Bearpaw the signature warmth and softness we’ve all come to love. 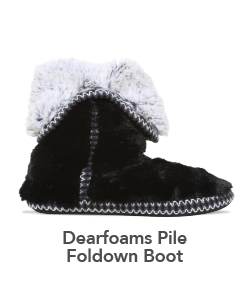 Dearfoams uses super-soft plush material for the foldown slipper boot that couldn’t be more luxurious for her feet. 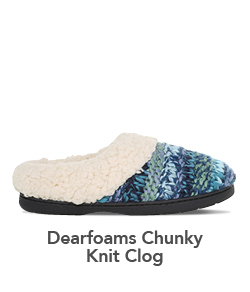 And cute knits with extra-soft insoles give the Chunky Knit slipper a style of their own. Whether she is going out or cuddling up – make sure she has something fuzzy around her feet when she does! Now…if you just don’t know the right size, or aren’t convinced that you have the proper style-choosing powers, there’s always the old standby: Gift Cards. I know, I know – they are so impersonal, right? But, at least you know that they will get what they want – and gift cards always fit. Happy Holidays from Super Shoes!